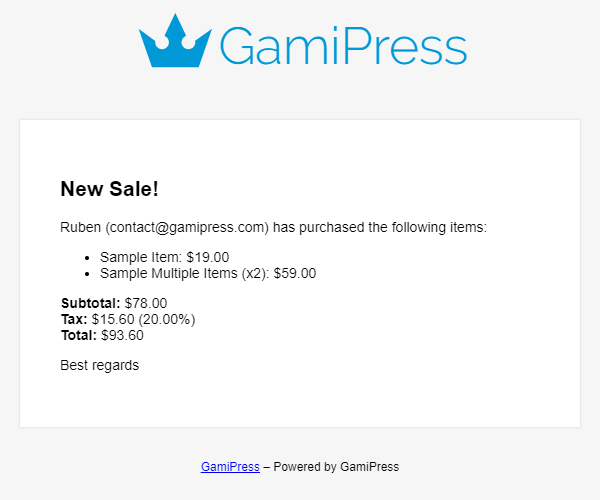 You will find the Purchases emails settings on your WordPress admin area navigating to the GamiPress menu -> Settings -> Emails tab, at the Email Templates box. From this settings you can setup the content to send for each email. Also, you can disable any email as well as to preview them or send a test email to your email. 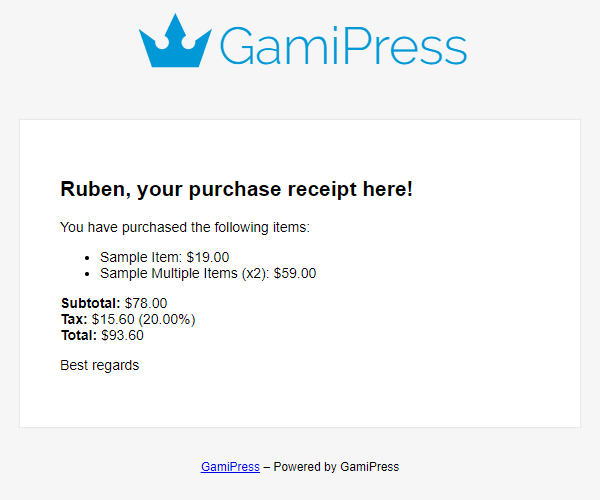 For each email you have some tags that will be replaced dynamically for each purchase.